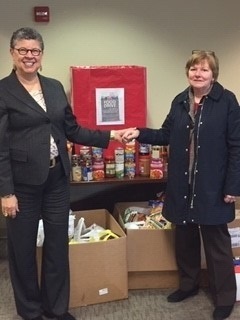 Barnum financial Group employees, and The Foundation For Life partner with “Hands On Hartford” in their joint effort to feed Families in need this holiday season by donating 505 pounds of food. 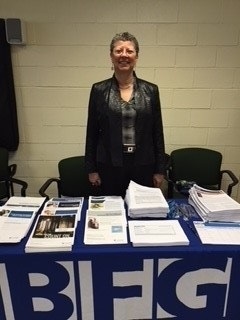 Katharine joins strategic partner Mr. Floyd Bagwell at the Prince Hall Masonic Grand Lodge of Connecticut annual meeting and provides timely information at her table set up. 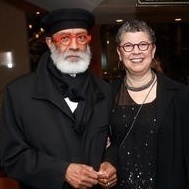 Taking to the stage for the Pink Party Fashion Show in West Hartford, Katharine Chaney-Jones had reasons to celebrate. 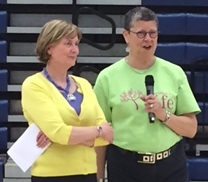 A two time breast cancer survivor, she is now five years cancer free. 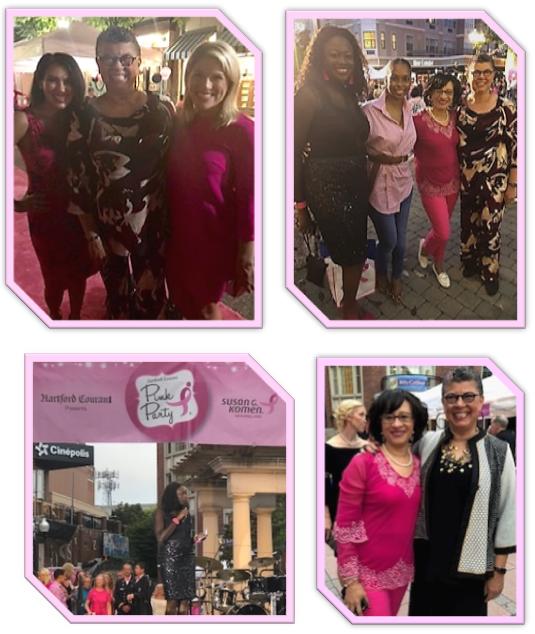 The event was about action and education in a state that has the highest incidents of breast cancer in the country. Pictured: Dr. Camelia Lawrence, MD, FACS Director of Breast Surgery/Central Region. Daphne Carter, Laura Hutchinson and Alyssa Taglia of WTNH TV. 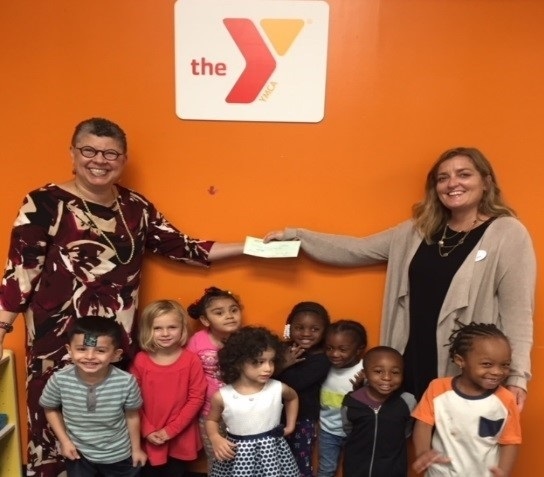 Foundation For Life Board Member, Katharine Chaney-Jones presents Amy E Wiltsie, MS, with foundation funds recipient CENTRAL CONNECTICUT COAST YMCA for their community involvement and assistance within the New Haven community. 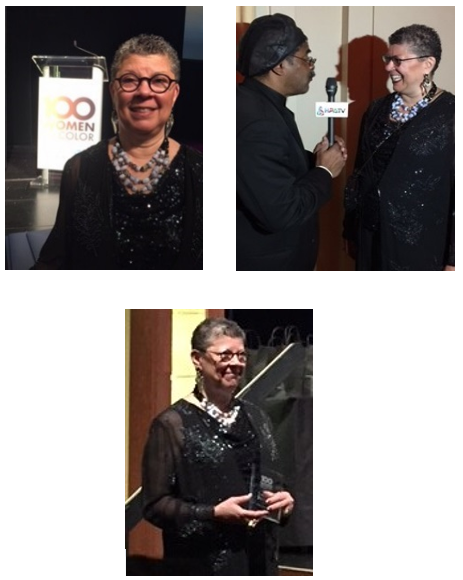 Katharine Chaney-Jones recognized for her community contributions at the Bushnell’s 2018, 100 Women of Color ceremony. 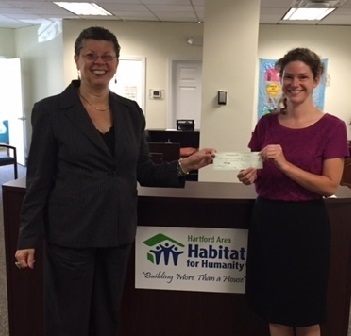 Foundation For Life and Barnum Financial Group employees donate 385 lbs. 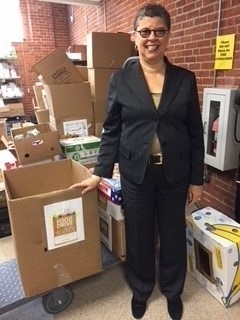 of food goods for Hands On Hartford’s food pantry. This will feed 19 families! 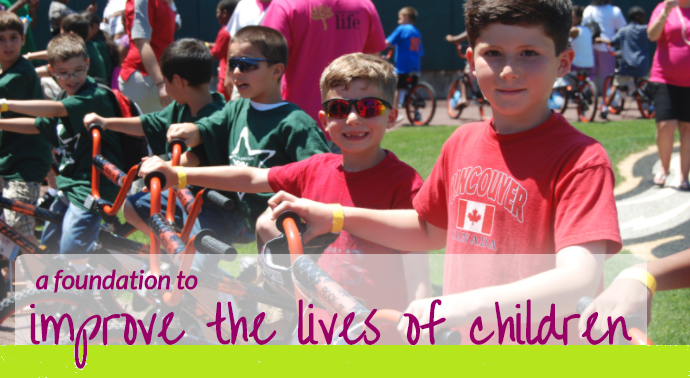 Foundation For Life surprises underprivileged children with a bike and helmet at Bikes For Kids events. 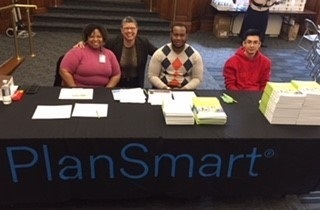 Community Wellness Fair at the Hartford YMCA where providing financial wellness information to attendees was a success! 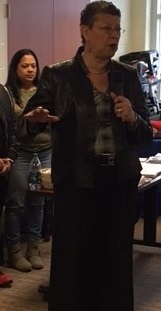 Had the pleasure of meeting University of Tennesee standout and one of the best speakers I have heard in a long time! 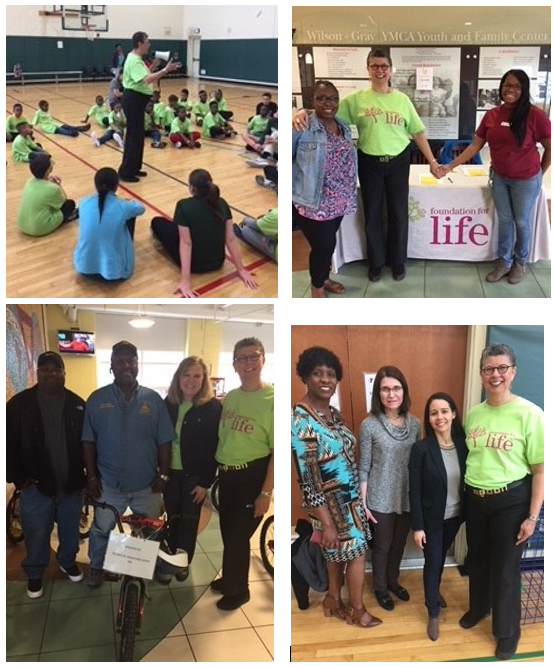 Foundation For Life Board Member Katharine Chaney-Jones kicks off Middletown, CT Bikes For Kids event on June 3, 2017. Joining the kickoff and festivities are Mayor Daniel Drew; Superintendent of Schools: Dr. Patricia Charles, and Ashley Battle of Barnum Financial Group, and former basketball player at Women's UCONN. The 2017, 100 Women of Color Awards gala which honored 100 women from the Greater Hartford area who have become positive role models and displayed long-term commitment to the betterment of their community. 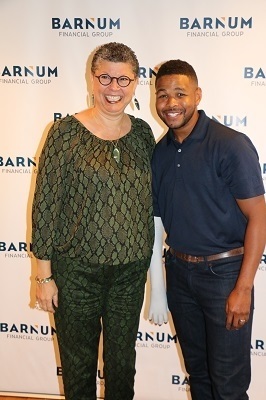 The Gala was held at the Bushnell in Hartford, CT.
Katharine Chaney-Jones is introduced to local community attendees at the Hartford, CT Wilson-Gray YMCA's Family Resource Fair while at her Barnum Financial Group informational table set up. Dozens of deserving children received brand new bicycles today. 22News was there to see the kids happy faces as they ran towards their new bike. 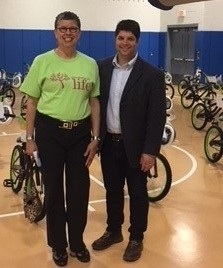 The second annual bikes for kids initiative was held at the Basketball Hall of Fall in Springfield Saturday for some hard working third graders from the city's public schools. These greatly committed kids were randomly picked from a pool of 5 from their guidance counselors who submitted their names. The best part was they had no idea about getting a new bike and helmet. The hardest part was keeping this all a secret. After their great commitment to education and their character the students were rewarded, in front of their family and friends, as a result about 30 kids got a new bike. The kids took some time to give their new bike a ride after. Farmington, CT — Carmen Colon, youth services administrator and executive director of CCC/ YMCA; Honorable Cynthia Jennings, councilwoman, City of Hartford; Katharine Chaney-Jones, financial services executive and philanthropist; and Walter Luckett Jr., entrepreneur, retired NBA basketball player and president of the Walter Luckett Foundation, have been named recipients of the Connecticut Prince Hall Scottish Rite Masons' Silver Eagle Award. 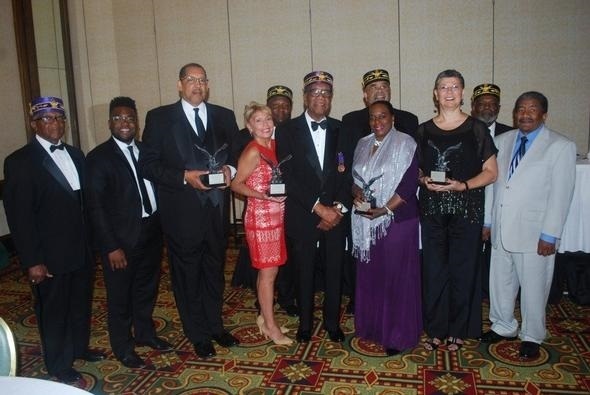 The four were honored and presented the award on June 25 during the Ninth Annual Celebration and Awards Banquet of the Commanders of the Rite of the Connecticut Council of Deliberation, held at the Farmington Marriott Hartford Hotel in Farmington. Fifth District State Rep. Brandon McGee delivered the keynote address. The concept of the Silver Eagle Award was conceived and established in 2007 by the Prince Hall Masonic Grand Lodge, then adopted by the Scottish Rite Body. 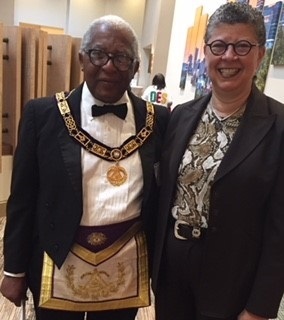 The Grand Lodge of Connecticut is a direct descendent of African Lodge #459, which was founded by Prince Hall, a prominent man of color in Colonial Boston, MA, who along with 14 other men of color, were made Masons by an Irish Lodge stationed there in 1776. When the Irish Lodge left the area, the African Americans applied for and received a Warrant or Charter from the “Mother Grand Lodge” of England in 1784. African Lodge #459 was established with Prince Hall as its first leader. 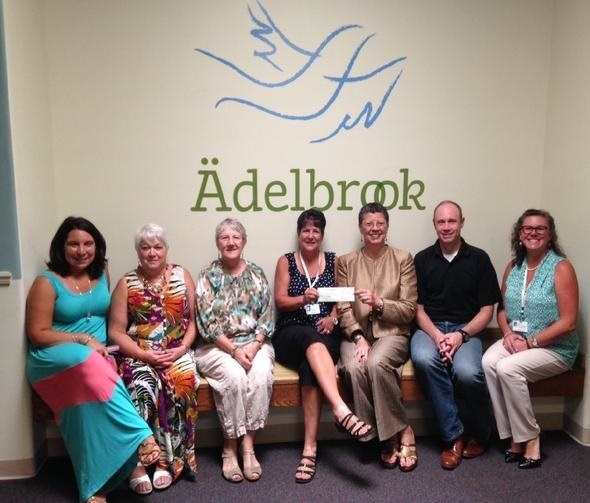 2015- Adlebrook, Foundation For Life check delivery for their endless contributions for Autism.